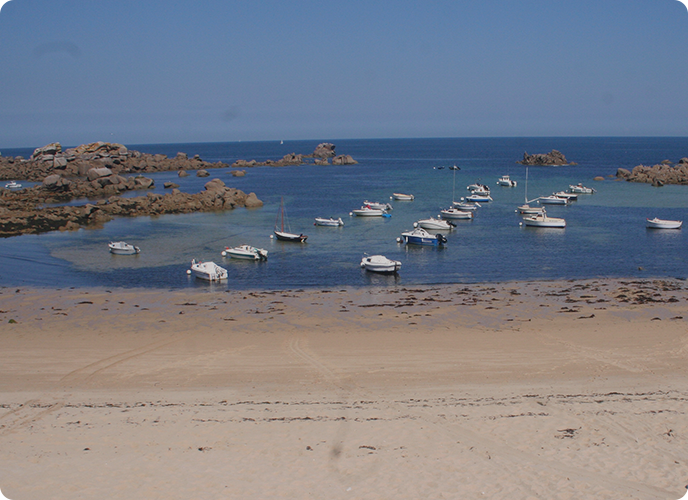 Come and stay in Cléder campsite on the north coast of Finistère. Poulennou campsite is a magnificent place where you will have the opportunity to reconnect with yourselves and to rest and relax with your family. Come and enjoy the seaside pleasures on the beautiful beaches nearby the campsite. An exceptional spot between countryside and seaside where you will find a peaceful relaxation in a natural, tranquil environment. Caravans, tents, camper-vans? The Poulennou campsite has a pitch for you make the most of your holidays in Brittany.